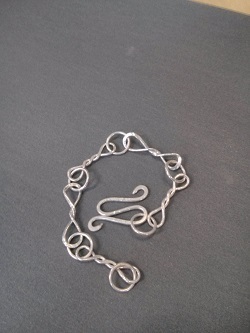 Twist, forge and fire your own modern chain link bracelet, working with sterling silver. All materials provided. 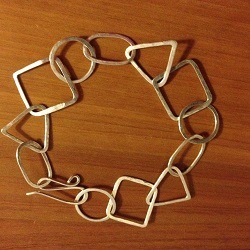 Discover the fun of making your own modern chain link bracelet and further refine your jewellery making skills, working with sterling silver. Not for beginners: you must have completed the Jewellery Making - Beginners course or equivalent. All materials included in course fee. Please bring pen and paper and wear clothing and footwear suitable for a workshop environment. For those who have completed the Jewellery Making - Beginners course or equivalent.